Check out our dedicated Wholesale Website. Schaefer Greenhouses grows its own Easter Lilies, Poinsettias, Azaleas, Kalanchoes, Reiger Begonias, Geraniums, Mums and much more in our 200,000 square foot facility located in Montgomery Illinois (IL). 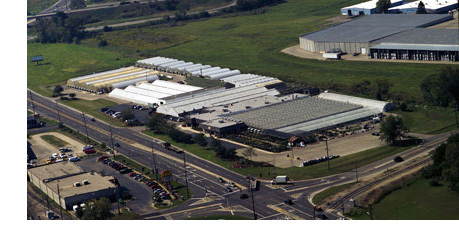 Our Wholesale Plant Department services the Chicagoland area including the far western suburbs. We also carry many varieties and sizes of foliage, dish gardens and hanging baskets. Call (630-896-1930) or E-mail us for a consultation and price lists. Please note, our delivery zone for all products is the Chicago area including all suburbs. Depending on the size of the order, deliveries could also be made to southern Wisconsin, the DeKalb area, the Quad Cities area, the Rockford area and the Bloomington/Normal/Peoria area. Schaefer’s is located just 40 miles west of Chicago on Lake St. (Route 31) in Montgomery Illinois (IL).